Since 1987, Troy Barbell has been developing and manufacturing free weights and fitness equipment while providing unparalleled quality, service, and satisfaction to its growing customer base. Today, the Houston-based company is one of the top free-weight manufacturers in the industry with a diverse range of products and a full commitment to use only the highest grade materials and designs. The Troy family consists of three lines: USA, leading-quality home fitness; VTX, committed to specialty and training applications; and Troy, the premium line of free-weight equipment for commercial and institutional use. This set inlcudes a pair each of 5-100lb dumbbells in 5lb increments. 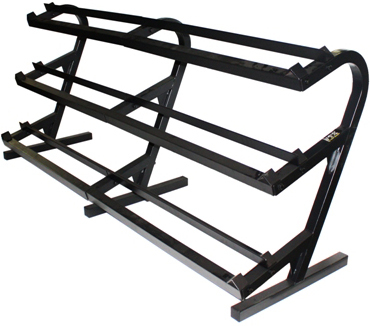 The Troy TDR-3 dumbbell rack is a compact yet heavy duty rack designed to hold a 5-100lb dumbbell set. The staggered shelving makes handling the dumbbells easy and safe. Welded stoppers on the ends of each shelf keep the dumbbells from rolling off. The 3 tier design means you you'll use up less floor space to store your dumbbells. 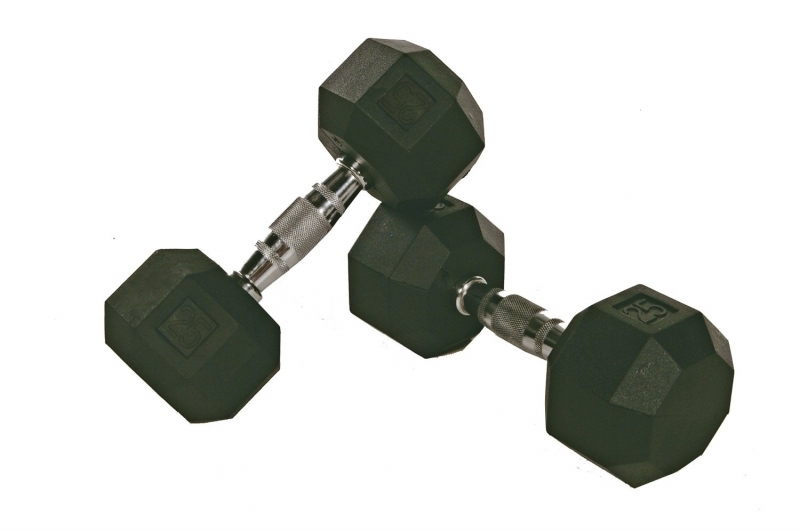 Order your Troy VTX 8 Sided Rubber Encased Dumbbells 5-100lbs Set SD-005-100-R from FitnessZone.com today!